Reviews by Cat Ellington: The Complete Anthology, Vol. 2 is the second release in an entire non-fiction book series dedicated to the discipline of literary criticism by American author, Cat Ellington. Covering the years from 1996-2010, Vol. 2 serves to showcase the sophomore bundle of fifty examinations from the collection, and continues to present its prolific authorship in the same insightful, humorous, smart, witty and thought-provoking vein as its predecessor, Reviews by Cat Ellington: The Complete Anthology, Vol. 1. In this, her follow-up release to Reviews by Cat Ellington: The Complete Anthology, Vol. 1, Ellington's undying love of literature resumes to abound in a cleverly-written and diverse cornucopia of some of the finest fictional and non-fictional dialogues contributed in their respective classes. Among those written efforts featured in Vol. 2 are Another Country by James Baldwin, Boss: Richard J. Daley of Chicago by Mike Royko, Swan by Naomi Campbell, Fine Beauty by Sam Fine, The Picture of Dorian Gray by Oscar Wilde, Along Came a Spider by James Patterson, The Mist by Stephen King, Mixed Blessings by Danielle Steel, Boots of the Oppressor by LaMorris Richmond, Red Dragon by Thomas Harris, The Highwaymen: Warriors of the Information Superhighway by Ken Auletta, The Face of Fear by Dean Koontz, Rum Punch by Elmore Leonard, How Stella Got Her Groove Back by Terry McMillan, The Grifters by Jim Thompson, She's Come Undone by Wally Lamb, and many more. With Reviews by Cat Ellington: The Complete Anthology, Vol. 2, the writer continues her journey through the inimitable world of literature, and shares with her many readers what they by now have come to know as ... her unique critique. 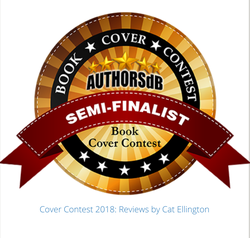 In October of 2018, the cover art for Reviews by Cat Ellington was named a semifinalist in the 2018 AUTHORSdb cover contest by a committee of its peers, in honor of Ellington's Hues of the Reviews collection. 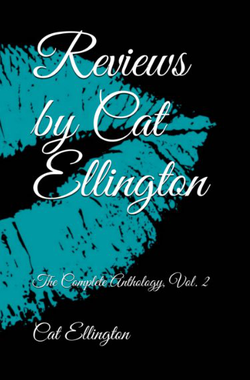 All information for Reviews by Cat Ellington: The Complete Anthology, Vol. 2's wiki comes from the below links. Any source is valid, including Twitter, Facebook, Instagram, and LinkedIn. Pictures, videos, biodata, and files relating to Reviews by Cat Ellington: The Complete Anthology, Vol. 2 are also acceptable encyclopedic sources. Other wiki pages related to Reviews by Cat Ellington: The Complete Anthology, Vol. 2.